It’s hard to find an organization these days not using teams to execute all kinds of business initiatives, including sales & marketing, research design & innovation, talent acquisition, systems development, operations, etc. Heck, teams are even being used as part of an enterprise’s risk management system to identify, assess, and oversee certain risk areas or to bring together risk information at the enterprise level for oversight and review. Although teams are commonplace in today’s enterprises, not all teams function effectively, leading to less-than-optimal achievement of their intended purpose. Might it be possible that today’s emphasis on teams is creating a hidden risk for the organization due to how executives structure and manage them? Probably, yes. What’s the Secret to A Successful Team? Having worked with thousands of team members in hundreds of teams in dozens of organizations over the past 25 years, the most frequent question I get asked by executives and managers is: what’s the secret to creating the most successful team possible? As you might guess, the evidence that my colleagues and I have collected over several decades indicates that there is no easy answer. In fact, there are dozens of factors that go into making a team perform well. So, I typically turn this question back around on them and ask: what do you think is more important for creating successful teams, the way a team is designed or the way it is coached? Team design would include such factors as whether a team has a clear, engaging direction; team members have the authority to manage their work; and there are performance goals set for the team. 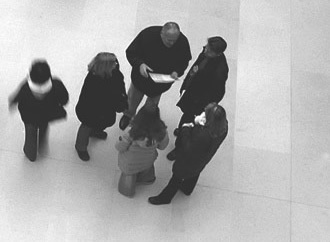 Team coaching would include the extent to which a team leader: provides reinforcers or cues that a team is responsible for managing itself; consults with a team about its problems; deals with interpersonal problems in a team through process consultation; attends team meetings; and, provides information and data from the organization. You might be saying you’d like to have both sets of factors, as they are both likely to be important for team success. And, you’d be right because both are indeed critical for solid team performance. But, if you could only pick one – design or coaching – which one would you choose? If you’re like most of our executives, you probably guessed team coaching (in fact, about 70% of people say coaching is more important than team design). And, you would be wrong. The evidence we have about team success supports the notion that team design is more important than team coaching when trying to maximize team performance. Another way to say this is, a well-designed team can survive a bad coach, but you can never coach a team out of its poor design. That is, no amount of team building (e.g., ropes courses, trust falls, bowling nights, anyone?) can overcome a team that is set up to fail from a design perspective. Why do you think people want to believe the answer is coaching and not design? When we ask this question to our executives, they typically say that they have much more control over the way they coach their teams compared to how they design them. In fact, many leaders today “inherit” existing teams and thus they have little say over who is on the team, how big the team is, or whether there are any team rewards provided. So, of course they want to believe that the key to success is the factors over which they have most control, like coaching. And, I wish I had an What is More Important for Creating Successful Teams, Design or Coaching? By Bradley L. Kirkman General (Ret.) H. Hugh Shelton Distinguished Professor of Leadership NC State University Poole College of Management Bradley L. Kirkman is the General (Ret.) H. Hugh Shelton Distinguished Professor of Leadership and Department Head of the Management, Innovation, and Entrepreneurship Department in the Poole College of Management at North Carolina State University. His research focuses on leadership, international management, virtual teams, and work team leadership and empowerment. 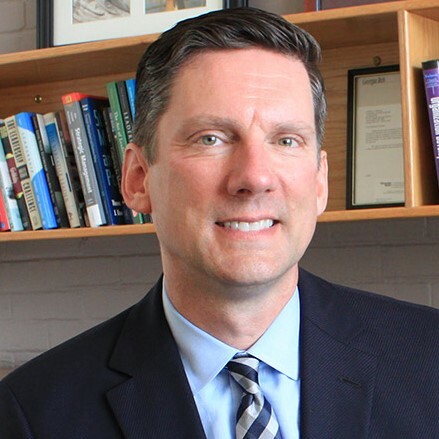 Brad has worked with numerous companies on issues such as leadership, global virtual teams, enhancing team effectiveness, working across cultural boundaries, and facilitating organizational change and development. He is the author of 3D Team Leadership: A New Approach for Complex Teams (http://www.sup.org/ books/title/?id=26150). Contact Brad at blkirkma@ncsu.edu. answer for those that are essentially “locked out” of doing anything about team design, but unfortunately there is no evidence that you can simply ramp up coaching to fix poor design. Performance goals for the team (i.e., does the entire team, not just the individual team members, have a set of meaningful and motivating team objectives?). Once leaders see this list, they often breathe a sigh of relief because they realize that they do have control over most of these factors in their organizations. Notice what is not on this Top 6 list: who is on the team, how big it is, and how long the members have worked together on the team. That should not suggest that these aren’t important, of course they are. They are just not as important as the other factors that are critical for team success. Clear, engaging direction – the best way to ensure a team’s members know exactly where they are going is with a team charter, or a written document that typically answers the questions of who (i.e., roles), what (i.e., vision, mission, goals, tasks), when (i.e., frequency of meeting, adherence to deadlines), where (i.e., face-to-face vs. electronic meetings), and why (i.e., the team’s purpose). Ideally, a team charter would be used at the beginning of a team’s lifespan, but even if a leader inherits a team, a charter can be created midstream to help even ongoing teams get back on track and move in a direction that is clear and engaging. A real team task – despite the fact that teams are ubiquitous in today’s organizations, the fact remains that not all tasks are suited for teams. The key determinant in deciding on whether is a team is right or not is the level of task interdependence, or the extent of communication, coordination, integration, and collaboration required to get tasks done. When interdependence is high, like in a software development team, members are constantly exchanging information, resources, and materials to get things done. When interdependence is low, like a set of insurance sales agents each assigned a separate territory, members get their jobs done primarily working on their own. In fact, this is not even rightly referred to as a team, rather the correct term would be a “group.” And, despite the hoopla and hype around teams, there is nothing wrong with using a group. Team rewards – human resources specialists will tell you that compensating teams is a tricky, tricky business. I have seen plenty of examples of bad team reward systems, especially those that carve out a portion of a team member’s individual-based pay and replace it with some form of team-based pay. On the other hand, the rank-and-yank performance management systems popularized by GE in the 1990s, in which employees are ranked on a bell curve with the lowest ranked counseled out of an organization, tends to create competition and individuality in organizations, not teamwork. So, if you can’t replace individualWWW.ERM.NCSU.EDU based rewards with team-based one or hope for teamwork in a rank-and-yank system, what can you do? The evidence suggests that team bonuses, usually in the form of cash but also creative ones like trips, team dinners, or t-shirts, are very effective in making sure that there is “something in for the team to succeed.” Otherwise, without team rewards, people are likely to pursue their own self-interest. Basic material resources – this one probably goes without saying, but teams do need adequate resources to perform effectively, and it’s a leaders job to make sure their teams are fully equipped to handle the tasks they are assigned. In highly resource constrained teams, you will likely see performance problems that cannot be addressed in any other way but by providing additional resources. Authority to manage the work – in today’s team-based environment, control freaks and micro-managers need not apply. Work is simply too complex for leaders to have all the answers. In fact, the whole point behind teamwork is to create synergy by bringing together individual team members with diverse and complementary skills. If a leader is trying to control all the action and preventing team members from offering input or contributing their ideas, you will likely see a poorly performing team. Team performance goals – leaders is most organizations spend a great deal of time helping their employee set goals. In fact, the evidence would show that goal setting is one of the most powerful forms of motivation available to managers. What I see less of, even in organizations that use teams, is any attention to setting goals for entire teams. Team goals are just as, or even more, important when driving the motivation of an entire team. Of course, team goals and individual goals will have to be aligned so that they are not competing with one another. Typically, a cascading set of goals from the team down to the individuals works best when trying to motivate individuals and teams. The next time you have team that is struggling to complete its tasks effectively, and you have already done all of the motivational coaching you can to get members more enthused and focused, try to figure out if your team is suffering from a flawed design. More often than not, coaching is used as a faulty substitute for team design problems. So, as a leader, I urge you to start embracing design interventions and changes to help your team reach its full potential. Mark your calendars for our next ERM Roundtable Summit on November 3, 2017 at the Raleigh Marriott Crabtree Valley.